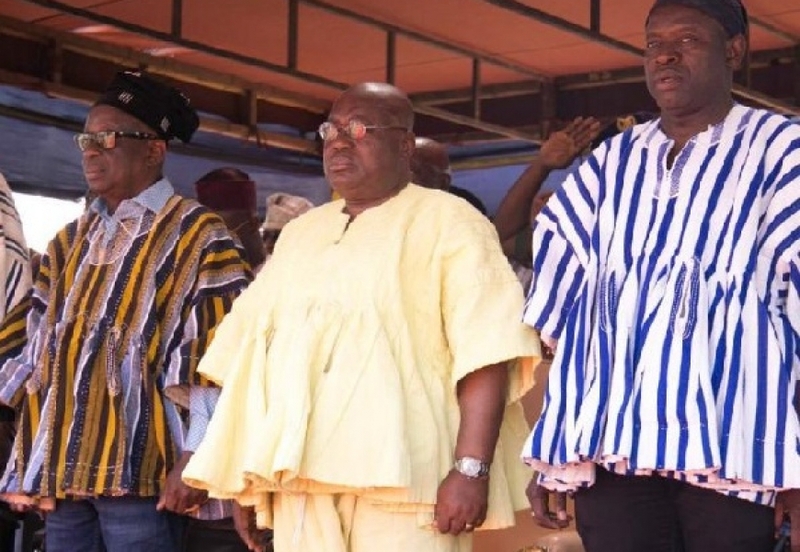 The Government of President Akufo-Addo has in the two years borrowed more than previous governments, without any project or clearly defined programme to point at. Many (Ghanaians) have expressed concern over the administration’s reckless borrowing. The President and his government received heavy bashing by the pubic over the century bond move by government. They said the move amounts to consciously mortgaging the future of the unborn generations. Ghanaians are dismayed at the rate by which the Akufo-Addo-led government is plunging the nation into debt through local and foreign borrowing without concomitant developmental projects to justify the unprecedented borrowing. The figure released by the Finance Ministry stating that Ghana under the Akufo Addo government in the last two years of being in office, has increased Ghana’s public debt stock to Ghc 170 billion ending Nov 2018, is mind boggling. Mind boggling because of what the current President and his Vice said about borrowing in opposition. They vehemently condemned borrowing and described it as “lazy approach to governance issues”. The assured Ghanaians that they will not borrow if elected since we have enough cash in the state’s coffers to support our activities. It is mind boggling because government cannot point to a single project executed from the huge amount borrowed. We are constrained to find out from the President and his communicators what they have done with the huge sums borrowed in the last two years. In just two months, the debt stock increased by Ghc 2.6 billion to reach Ghc 172 billion representing 57.9 percent of the total value of the economy (GDP). Ghana’s total debt as at July 2018 stood at Ghc 159.4 billion (65.9percent of GDP). The external component was GHc 85.5 billion while the domestic component recorded Ghc 73.8 billion. The President and his party’s ambitious pre-2016 (opposition) budget was built on a range of assumptions about oil price and production, plugging leakages in government spending and protection of state coffers. As it happened, none of these wishes and Bawumialogies came to pass. The NDC government’s decision to go to the IMF to instill discipline in the economic was vehemently opposed by Akufo-Addo and his team. The Mahama administration raised capital spending by keeping recurrent portion of the 2015/16 budgets constant and raised the overall size of the budget in favour of capital spending. The administration implemented many projects to justify the amount it borrowed. Under the current administration, capital expenditure has dropped and it is difficult to justify what exactly is capital spending in the budgets of government, ministries and departments. And this is the genuine fear many Ghanaians have over excessive borrowing by this government.